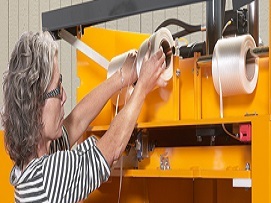 To move away from steel strapping while still using a product capable of getting the job done on medium loads, polyester strapping may be your best bet. 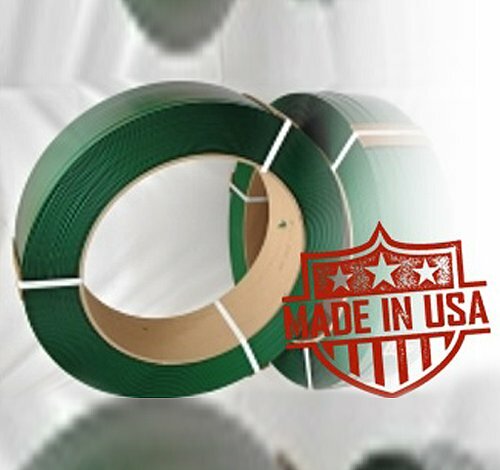 The strongest of the various plastic strapping options on the market, polyester doesn’t present the potential safety risk that is seen with steel. Of course, when you order with Vulcan, you will be able to pick from numerous widths and thicknesses, coil sizes, tensile strengths, and more. Place your order today! You have options when it comes to how your polyester banding strap will be sealed around a load. A quality seal is important to maintain tension in the strap, and there are two basic options here: metal seals or friction welding. Metal seals will be perfectly acceptable in many cases, but using friction welding equipment is great when you need to keep metal out of the equation altogether. Steel strapping remains a very important product in shipping, and we are proud to sell quality steel strap here at Vulcan. With that said, it comes with its own drawbacks, just like any other product. If some of the negatives that come with steel—safety issues, damage to cargo, etc.—are becoming a problem for your business, consider making the switch to polyester. 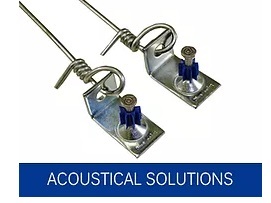 Opting for polyester strapping is a great way to get the performance you need while sidestepping some of the problems that may arise when using steel. Reliable suppliers are important to almost every business. At Vulcan, we respect your need to have your orders delivered both accurately and on-time. In addition to delivering polyester banding, we can also supply you with all the tools needed to work with this strapping on a day to day basis. Thank you for considering Vulcan Wire.